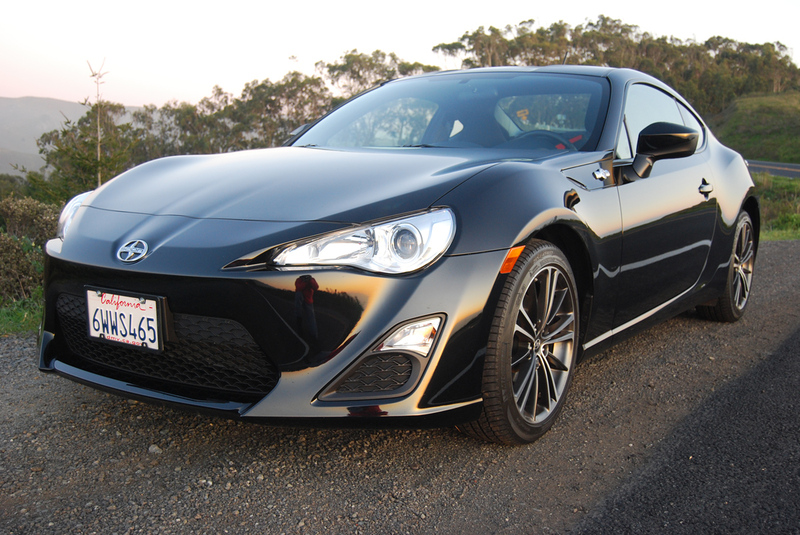 It’s a lot more fun to be the driver of an FR-S than its passenger. The lucky driver enjoys the diminutive coupe’s exceptional road holding while the passenger gets a head lashing from excessive g-Forces. The driver picks precise lines through switchbacks while the passenger gets jounced like a bobblehead. If you’re not in the captain’s chair of the F-RS you might as well stay home, because this Toyota is all about the art of driving not riding. You might think that saddling the FR-S with an automatic gearbox would detract from its ultimate appeal as a back road weapon. I know that I was crestfallen to discover — after lacing up my best driving shoes — that this FR-S had but two pedals on the floor. But I needn’t have worried, because the paddle=shifted 6-speed automatic is so responsive to driver input that you can make it sing the same high-pitched aria as its stick shift sister. The F-RS is the happy product of a joint venture between Toyota and Subaru to build an affordable, high energy two-seat sports coupe. 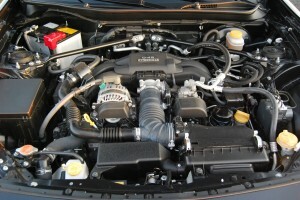 Because the Subaru-supplied 4 cylinder engine makes only 151 lb.-ft. of torque at 6,400rpm, the engine must be squeezed hard to produce peak power of 200hp at 7,000 rpm. So it behooves you to select the appropriate gear for every occasion. That’s easy to accomplish with the 6-speed manual gearbox, somewhat less facile in the automatic. If you’re lazy enough to park the automatic’s selector stick in “Drive,” you’ll pay the price in lost performance, because the gearbox will always upshift prematurely in order to lower rpm and save fuel. You can use the paddles to select or retain a gear, but after 15 seconds, the gearbox reverts to “Drive” and automatically upshifts. What you need to do is slide that tunnel mounted lever into its “Manual” quadrant and oversee all gearchanges with the paddles. 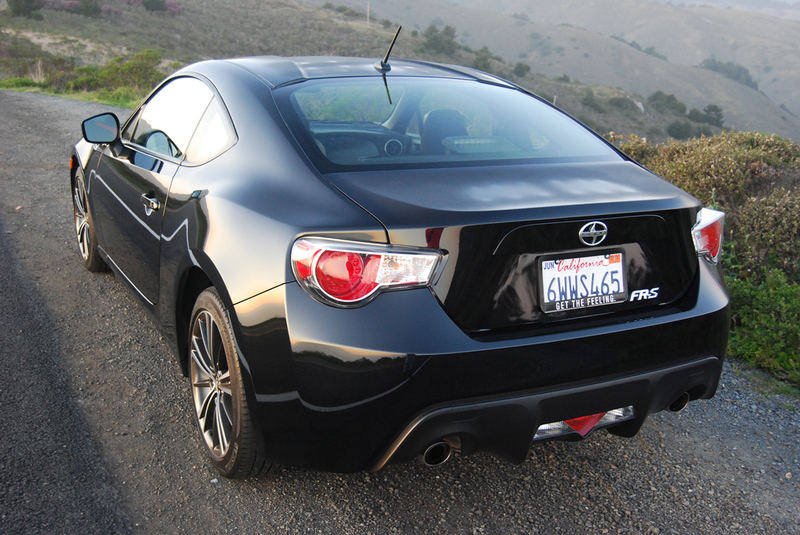 You’ll love the fact that rev-matching on downshifts make this Scion sound like a Ferrari. Thankfully, the gearbox retains all choices you make until you decide a different gear is required. In manual mode, the automatic is the virtual equivalent of the stick. Since our test F-RS had accumulated more than 6,000 miles, it was starting to show signs of wear that did not manifest on low mileage examples I previously tested. For example, the retractor on the driver’s side inertia reel seat belt had fatigued to the point that the belt became caught in the door or flopped on the floor when detached. The sun visor on the driver’s side always popped out of its snap latch when rotated through its arc of travel. The bump stops on the vernier perfect steering rack afford no cushioning at the limit of travel. When you crank the wheel full lock you’re met with a disconcerting thunk. The wonderfully supportive high backed front bucket seats all but preclude access to the back seat’s storage area. Why Toyota fits these sham rear seats is a legitimate question, since no human would ever want to climb into that mail slot. But overall, the bloom is hardly off this remarkable rose. Thirty years ago, a car weighing 2,700 pounds would have been considered heavy. Today, the fact that the F-RS weighs a mere 2,762 pounds is a testament to its lightness and agility in an age when safety and pollution considerations have burdened new cars with so much poundage that the F-RS seems flyweight by comparison. You sense its eternal lightness of being the instant you point it at your first apex. The F-RS intuits exactly where you want it to be, then darts there without equivocation. If you were so inclined you could turn this Scion into the consummate slot car by swapping out its baffling choice of all-season Michelin Primacy tires (215/45R17) for a set of super sticky Plus 1 rubber from Bridgestone, BF Goodrich, or Yokohama. The beauty of the F-RS is its ability to respond to such attention modification. This Toyota can be fine tuned like a formula car because its highly evolved independent suspension has all the right pieces in place to respond to tuner tweaking. At the price, nothing else comes close. 2011 Volvo XC60 R-Design Review – It’s got the brawn, but who’s got the brains?